Description: Join us for Etsy Made Local this Christmas! Popping-up in the St Nicolas Centre over four days, the third annual Etsy Made Local market promises to be a fun alternative to the traditional Christmas shopping experience. Buy direct from local Etsy designers, makers and vintage collectors. Meet the people behind the product and look locally for this year’s Christmas gifting! Etsy Made Local is a national initiative celebrating the crafters, collectors and artisans in local communities across the UK. After our amazing 2016 & 17 markets, we are so excited to bring this fantastic national event back to Aberdeen for a third time. Our biggest fair yet – it’s going to be HUGE – and full to bursting with amazing local talent. Once again we are working with Look Again/RGU who helped us secure this fantastic space in the city centre for Christmas. We are so grateful for their continued support. And a big thank you to the Bon Accord Centre for accommodating us for a second time. We kick off with our launch party on Thursday 29th November – a late night shopping event with the coolest vibes – DJs, complementary mulled wine and mince pies – the absolute best way to do your Christmas shopping! £5.50 per child / £3.50 per sibling/friend when booked with a full paying child, per session. Only £30/£50 when booking all 6 sessions. Description: Our fabulous Christmas Festival is being held at the˜fairy tale Fyvie Castle. Over three days Fyvie Castle will be transformed into a festive treat for all and will include the finest array of Art, Craft and Food together with a traditional wandering carol singer and festive (but non alcoholic) mulled wine. Description: The Auchenblae Pre-School Group is delighted to welcome everyone to our annual Christmas Market. Once again we will be showcasing the amazing talents of local crafts people and giving you a fantastic opportunity to make your Christmas shopping that bit easier. Come along and find some amazing gifts whilst supporting local small businesses. A mulled wine and a mince pie with every admission! Description: We are so thrilled to be back again with our annual Victorian Christmas Event. We have been running this event at Delgatie for over 20 years and we are the original, biggest and best event in the area. There will be amazing decorations, crafts for sale and of course Santa will be visiting with presents for the children. Make sure you don’t miss out and get the dates in your diary now! No need to book in advance, admission is £5 per head payable on arrival. Description: Strichen Gala Committee and Strichen Playgroup are holding their Annual Christmas Fayre & Santa’s Grotto on Saturday 1st December 2018 from 10 – 2.00pm. Come along and browse around over 30 stalls with a wide variety of gifts, fresh produce, wreaths, floral art, jewellery, sweets, handcrafted goods, handmade cards, scarves, bags, cosmetics and lots lots more. More details will follow but in the meantime pop the date in your diary. Photo packages are available starting from £9.95 and all proceeds go to The ARCHIE Foundation. Walk-ins are welcome and you can book ahead on our EventBrite page: http://ow.ly/gcgB30m55xj . The slot is for one child, for additional children please add at checkout under additional admissions. Description: Fun for the whole family! Santa’s Grotto, Bottle/Chocolate Stall, Gift Stalls, Home Baking, Glitter Tattoos & Face Painting, Games and much more! Entry includes free refreshments and rowie or mince pie! This year marks our 5th year!! Previously we’ve seen different themes of Traditional Christmas, Frozen, Peter Pan & Narnia. Once Again this year Banff Day Services have special guests involved – Banff Primary will be lending a hand to help decorate our magical world of Christmas. Let the magic of Christmas Begin. Ticket avalible to buy at The Kelpie Cafe, make sure you get there sooner rather then later as they don’t last long. Tickets are £5 per child. Love Rara will be at both parties to entertain, sing and play games with you whilst you are served your breakfast or lunch. . Description: Come along and join us for a Magical Christmas Party. Jingle Bells, Snowmen, Puppet Show, Snow, Dancing, Singing, Signing, Bubbles and of course our fabulous photo booth so that you can capture your amazing memories to keep forever. Every baby will get a gift and of course there will be plenty of chocolate for the adults! Please click on book now to see the full availability in Aberdeen Arts Centre and The Bettridge Centre Newtonhill. Siblings and family are all welcome at no extra charge. Book quickly once they are full they are full! Description: The children will have the option of making either Santa or Christmas Tree slime with lots of festive glitter, sequences, baubles, tinsel and even bells. The Children will all receive a sweet Christmas treat snack and drink. ONLY £5.00 per child with provided sweet treat, drink and and airtight container to take their slime home with them. 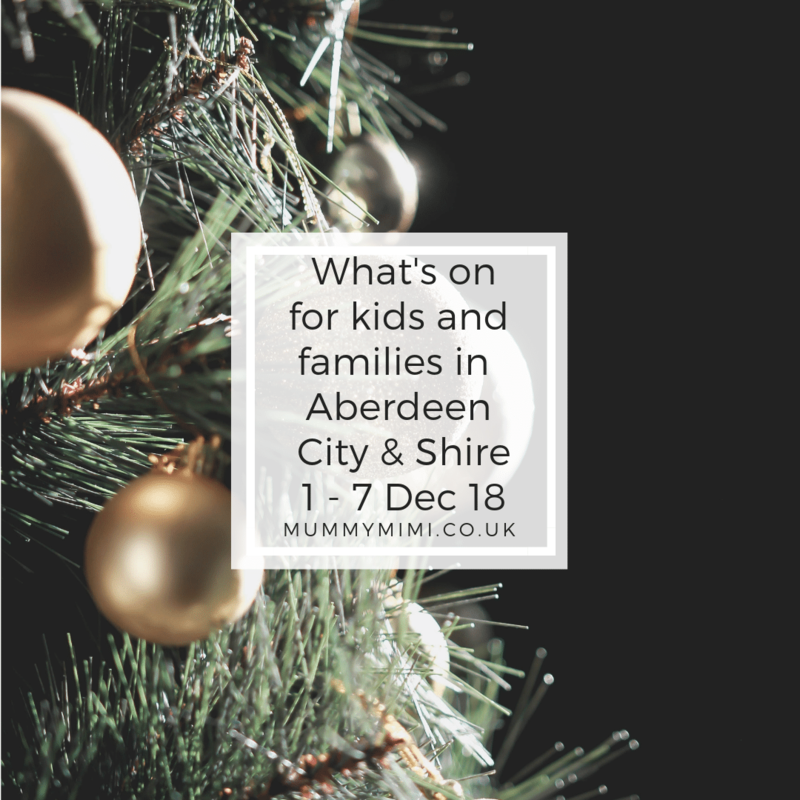 Description: Santa will be at the Milton of Crathes again this year with a sack full of presents for the children, and hot mince pies and drinks for the adults. He will again be handing out presents to the children in the coaches during the steam train ride from the Milton station. He’ll be there every Saturday and Sunday from 24th November up to and including Monday 24th December – Christmas Eve, also Friday 21st. Festive singing on all services, which this year will be steam hauled. The whole Santa experience will last approximately 45 – 60 minutes. Description: We are a FREE entry event held on first Saturday of the month upstairs in The Coffee House, Aberdeen, AB10 1JF, just round the corner from Belmont Street. Our monthly indoor arts & crafts market has over 20 stalls. Discover unique design led handmade products sold directly by the makers. It is a friendly and relaxed market and showcases an eclectic mix of artists and makers from the local area and with new makers and crafters every month, there will always be something new to see. Description: Join us again for our Disney Winter Wonderland themed fun day. As well as meeting and interacting with so of Disney’s Characters, we will also have so Avengers along to keep everyone safe. (We will have different characters from the Disney Dream’s fun day). We will also have a professional photographer to take some snaps of you with your favourite characters. 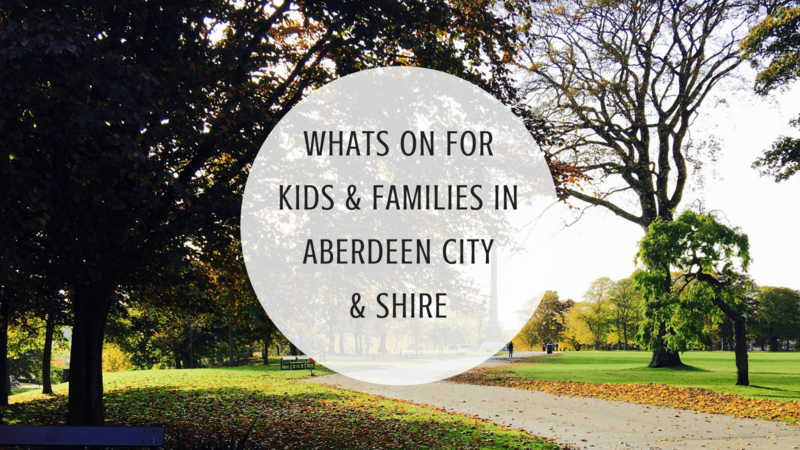 Facepainting, balloon modelling, softplay, candy floss, popcorn, slush puppies, sweets. We will have two times again dependant on how popular. 11am to 1pm and 2pm to 4pm. Tickets will be £10 per child and an additional £2 per adult. Tickets can be reserved now. Please comment on this event page. Description: We would like to invite everyone to Midmill School’s first ever Family Christmas Fayre on Saturday 1st December from 11am – 3pm. Tickets cost £3 for adults, which includes a free hot chocolate on arrival and kids go free! The Flaming Pizza guys are bringing their Pizza van to help fill everyone’s tummies along with The Vintage Koffiecabine who will satisfy your sweet tooth with their desserts and yummy coffees. Lots more still to be announced. Stall holders – please get in touch if you would like to come along on the day. Tables cost £10 plus a small raffle donation. Description: After a great afternoon in March we have booked Artie again!! The Singing Kettles creator and former star, Artie Trezise, is back with his exciting storytelling production, Tartan Tales. Traditional stories and songs with a Scottish accent. He weaves Singing Kettle favourites with classical material. Action packed, enthralling and interactive. The kids are involved throughout and become story tellers themselves by the end of the show. Lots of joining in and singing for children and adults alike. Whitehills Public Hall, Reidhaven Street, Whitehills, Aberdeenshire. AB45 2NJ. Message directly to the page for tickets – ON SALE NOW!! Description: The Gallery will be open, selling quality art and crafts by Letitia Smith-Burnett, Alice Harman, Nikki Monaghan, Lucy Brydon, Moira Ritchie, Suzanne Brownrigg and Min Fletcher-Jones. Refreshments also available. Come along and find unique gifts made in Scotland. We look forward to welcoming you. Description: Come along to our Christmas grooming session with Dancer and one of his friends. Dancer will have a small present to give every child who attends. You will get to learn some of the different brushes and what they are used for before having a go at the grooming. Please come along in suitable clothing and footwear (no open toed sandals). £5 per child, tickets can be purchased by following the ticketing link. Description: Santa’s making a special visit to playgroup on Saturday 1st December! Enjoy and afternoon of Christmas crafts, festive drinks and tasty treats to get you fully into the festive spirit. All donations and proceeds go directly to Torphins Playgroup. Last year we ran a competition for the children, where we gave away over £600 worth of toys. This year we will be doing the same again! NOTE: NO PERFORMERS OR STALLS ON SUNDAY. LIGHTING AND ICE RINK ONLY. 4 people in a family ticket: 2 or 3 children accompanied by either 1 or 2 adults. Visit from Santa followed by our very own Strathorn Horse Carriage Rides where the you can have a trip round the village. Fe-Fie-Fo-Fum – A Family Panto Full of Fun! First Prize- an overnight stay at Ardoe House, Second Prize – a pamper hamper. Raffle tickets can be bought prior to the event. Afternoon tea tickets must be bought before the event and are available to buy now. These can be bought through the Borneo fundraising page. Saturday 1st of December from 4pm-8pm. Our event, where you can come along, look and buy from local businesses at their stalls within our Christmas Shopping Evening. Free entry! Only pay for what you would like to do and buy We shall keep you updated on this event page with the stall holders who will be attending on the evening. Stalls for both children’s and adults gifts, raffle in aid of Eileidh Rose Puddles Project SCIO We look forward to seeing you all there! Description: Balmedie leisure centre and Belhelvie church would like to invite you to join us in celebrating christmas and raising money for north sound 1’s cash for kids. Bring along your decorated gingerbread house (homemade or preprepared) between 12pm & 2pm and we will create a winter wonderland to showcase your creations. Group entries welcome. Doors reopen at 6pm for carols, refreshments and community spirit. All donations going to cash for kids. Free tea,coffee, juice and biscuits available on the night. Description: Annual local pantomime, Aladdin. 5 performances. Follow Ellon Pantomime Group Facebook page for more information. Description: Sit down relax for lunch and let the kids watch a movie..
3 time slots available. Tickets available from the 15th November. Tickets can be purchased on the day at the grotto till at the left hand side of the counter. Description: We are excited to announce the Me Too! Christmas Fayre! The Fayre will he held at Jury’s Inn, Union Square on Sunday 2nd December and we’d love to see you there! Enjoy a scrumptious breakfast or afternoon tea in our ballroom before heading to the grotto to meet Santa, all children will receive a gift. £20.00 for adults £14.00 3-12 years under 3s £7.00. Full Prepayment required to book. Call 01467 622 437 to book. Booking is essential. Description: Pitmedden Festive Fireworks. Ellon and District Pipe Band. DJ Ray. Santa and his helpers. Christmas Goody Bags. Description: Daviot Xmas Light Swich On. We have a fantastic evening for all the family planned. With Santa’s grotto, Mulled Wine, Fun stalls and games, Fireworks and soooo much more. keep an eye for regular updates. Description: Come and have some festive fun! We will have lanterns for children to hang on the tree, Christmas wishes to write, hot chocolate to warm even the coldest hands, mulled fruit punch, festive nibbles, carol singing, twinkly lights, lasers, a raffle with some super prizes and this year our very own friendly Rudolph will have his own photo booth to capture a fun photo! All accompanied by the Inverurie Concert Band. A lovely way to start the Christmas season! All in aid of Light UP Children’s Charity SC069453 who brighten local children’s lives by offering grants to Aberdeenshire’s vulnerable children. Raffle tickets available in advance from Daisy Tree Baby Boutique. Also available on the afternoon of the event! Description: Gather your friends and family to join the countdown to the lights switch on and meet Santa! Then join in the carols and enjoy mince pies and mulled wine. No entry fee but donations welcomed. Description: It’s December and time for the wooly hats, gloves and hopefully some snow so we can all make a snow man! So this week we will have mainly white and blue colours to play with for creating our winter wonderland theme and we will have penguins polar bears and other animals who enjoy the winter weather and snowflakes to decorate. Description: An important reminder of what Christmas is all about. Aberdeen Churches Together will officially bless the crib, and refreshments will be available after the event. Description: Banff Playgroup & Toddlers are holding our annual Christmas Market! Come along to the Deveronside for a look at the stalls for gift ideas or a treat for yourself! Tea, Coffee and mince meat pies also available on the day – donation only! For any local crafters etc who would like a stall please contact us to book your space!! Please arrive 15 minutes early for sign in. We hope to see you soonüòä £5.50 per child / £3.50 per sibling/friend when booked with a full paying child, per session. Only £30/£50 when booking all 6 sessions. Relaxed Santa (ASN Friendly) with Codona’s & Me Too! Description: Delighted to be working with Codona’s for our 3rd Relaxed Santa Session – Come and Meet Santa in an accepting and relaxed atmosphere! For participants with Additional Support Needs predominately, but anyone is welcome who feels they may benefit from a calmer environment. Session 5-6pm will have all the music and moving figures as usual. Session 6-7pm will have no music and the figures will be stationary. Please book the session that you feel will best meet your requirements. If unsure, we advise you book the first session initially and we can move you to the later session if it’s too much. Smugglers Cove will be open for the duration for some play while you wait so no queues to wait in – Smugglers Cove Family Restaurant will also be open for meals/snacks/coffee and homebakes. Description: Portlethen santa run is back for 2018! It is again being organised and run by Fishermoss School PSC in association with Portlethen Primary and Hillside Primary. The run will take place on the dates advertised, unless the weather is against us or were short of helpers. This is for the benefit of all of the community and we will try our best to get round Portlethen on these nights, but bear in mind were all volunteer’s and sometimes things may happen out with our control and we may not get to a certain road! There will be updates constantly on face-book throughout the run nights keep checking for details. See Facebook event for listing of the streets covered across the nights. Description: Wednesday is the Baby Group, come along and help set up. Chat to other parents/carers whilst your babies play and interact with one another. It’s suitable for newborns to crawlers. Description: Join us for an evening of festivities in Chapelton as we spread some seasonal cheer. Starting at Hume Square, we will be switching on Christmas trees, decorated by the children of Newtonhill Primary School, before hosting the town’s very first Christmas fair at Nether Cairnhill Steading. Delicious food and drinks will be on offer including mince pies and a festive tipple, as well as a selection of Christmas crafts for those looking to treat loved ones to an extra special gift. Christmas is a time for giving back, so all proceeds raised from the event will go towards Pillar Kincardine, a charity dedicated to promoting positive mental health. Tickets for this event are free but we expect it to be popular so make sure to register your space by emailing events@chapeltonnewtown.co.uk. Description: This is a popular event and tickets go fast. Save the date now and watch this space for updates and when tickets go on sale. Come along to Broomies and meet Santa on Friday 7th & 14th December from 2pm – 4pm. Tickets available from JRD or Broomies, Hurry! as on a first come first served basis. Description: Come and join us for a Christmas movie! Come and enjoy as a family or group. Relax and allow younger children to experience the movies without the stress/expense of the cinema. Allow the older ones to sit and enjoy with their friends. There must be one responsible adult per group of children. For large groups, 10 or more, please pm or email fishermosspsc@outlook.com by 1st December to allow us time to accommodate you. Description: Peter Pan, also known as the boy who wouldn’t grow up, is the story of a mischievous little boy who can fly and his adventures on the island of Neverland with Wendy Darling and her brothers. Join them as they meet the lost boys and the Indian princess, Tiger Lily, who are constantly under attack from the scheming pirate, Captain Hook and his band of pirates. Will Captain Hook ever get his revenge on Peter Pan for his unfortunate dealings with the crocodile that has left him with a Hook for a hand? Come along for a fun filled family experience with Attic theatre. Inverurie Panto Preview Show – Aladdin! Description: A wonderful opportunity to see the spectacular Inverurie Panto of “Aladdin” first at the Inverurie Town Hall on Friday 7th December at 7pm. All ticket sales go directly to CLAN Cancer Support. Please note that seats for disabled or wheelchair access are only available in the stalls and that the balcony seating area is only staircase accessible.